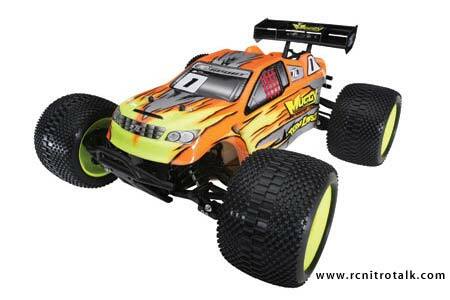 Team Losi is revolutionizing RC again with the Team Losi Muggy Monster Truck. Blending proven technologies and the latest innovations for an intense monster truck experience, the Muggy adapts the greatest features from several vehicle designs to offer a truly unique truck, built to take on any type of terrain. 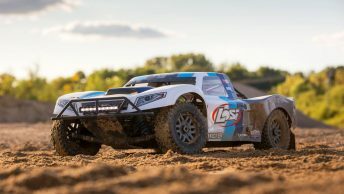 Combining the rugged, durable suspension found on the Team Losi LST2 with a rigid aluminum chassis, the Team Losi Muggy gives drivers an incredible balance of all-terrain capabilities and handling. Molded Mega Shocks soak up the bumps and jumps, while 420-series wheels and tires grip the ground and propel the Team Losi Muggy to incredible speeds. 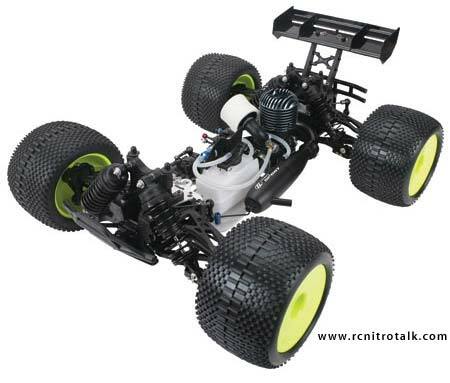 Power comes from a Losi Sport 427 engine equipped with an all-aluminum HT one-piece pipe and header. A center diff controls the distribution of power for optimum handling, while front and rear brakes bring the Team Losi Muggy to a halt when needed. Front and rear sway bars accentuate the low center of gravity, giving the Team Losi Muggy a solid feel on turns and straight-aways. Aluminum chassis braces add to the stability, and a high-capacity fuel tank feeds the 427 engine for long, high-speed runs.